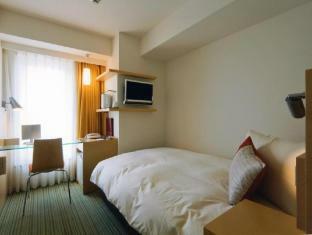 The 3-star Hotel Resol Trinity Sapporo offers comfort and convenience whether you're on business or holiday in Sapporo. The hotel offers a wide range of amenities and perks to ensure you have a great time. Wi-Fi in public areas, car park, restaurant, elevator, smoking area are just some of the facilities on offer. Some of the well-appointed guestrooms feature telephone, inhouse movies, desk, ironing facilities, satellite/cable TV. Enjoy the hotel's recreational facilities, including massage, spa, before retiring to your room for a well-deserved rest. For reliable service and professional staff, Hotel Resol Trinity Sapporo caters to your needs.